Chances are that almost every piece of electronics handled by someone today is some sort of printed circuit board (PCB). PCBs are an essential part of modern technology, but as technology improves and moves into the realm of the wearable and the flexible, their rigid and flat design is being reconsidered. In addition to looking for more flexible materials, there’s also a desire to break the 2-dimensional mold. That’s precisely what researchers at the Hong Kong Polytechnic University were thinking of. 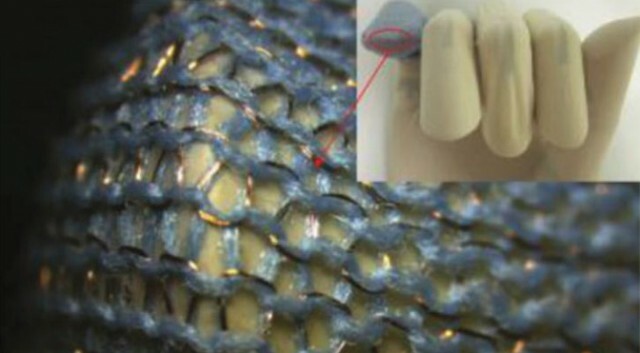 Using a revolutionary, never-before-seen concept known as computerized knitting technology, they developed a new line of fabric circuit boards (FCBs). To make them, lead scientists Qiao Li and Xiao Ming Tao at HKPU relied a combination of conductive fibrous metal materials and traditional fabric. Within the FCB, the wires are the equivalent of the circuits on a regular board, and the fabric acts as the mounting material that keeps everything in the right orientation and insulates different circuits. The finished FCBs can contain 3D circuits that are resistant to bending, stretching, and washing. To test this, Li and Ming subjected the boards to repeated stretching and folding, and found they were functional to about 1 million cycles. The washing test was a little less successful with six of 30 samples experiencing mild damage after 30 washes, but that’s not bad when you consider a single wash cycle would probably kill your average PCB. Oddly enough, Li and Ming also wanted to test how the fabric stood up to bullets, and placed one inside a bulletproof vest. After several shots, the fabric boards continued to work without difficulty. 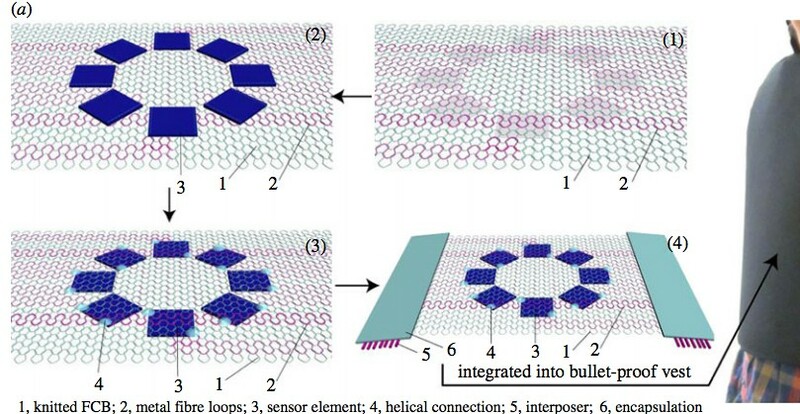 Garments made of FCBs could also to connect devices that are mounted on different parts of the body, like small solar panels on your back or shoulders to charge your devices. The FBC garment could then route that power into a battery pack or directly to your pocket where your phone charges wirelessly. Another potential use case would be biometric sensors that are built into your clothing instead of a device like a smartwatch or fitness band. According to the team, the basic FCB design is ready for use. The fabric samples made as part of the study are reportedly rather comfortable and the circuits should be sturdy enough to outlast the fabric component of the garment as well. However, the success of FCBs will likely come down to cost. Right now, the Samsung S Shirt costs $199 with purchase of a smartphone and requires a two-year AT&T contract. Not quite cost-effective just yet! 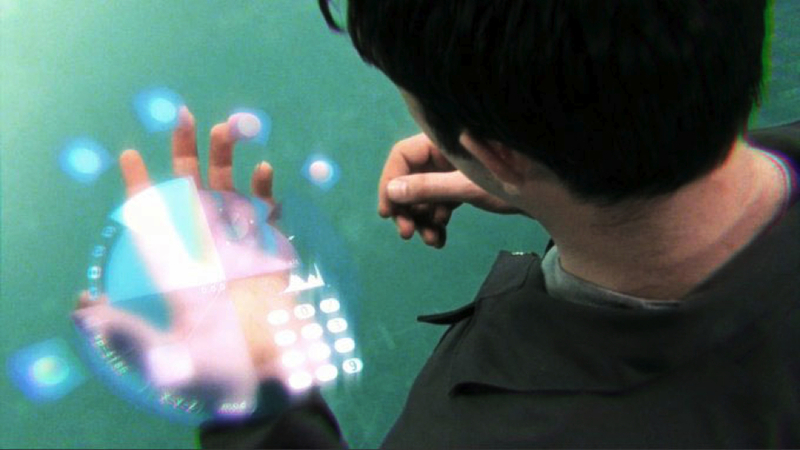 Still, what this amounts to is the possibility a future where “wearable computing” is taken quite literally. Beyond smart watches, smart rings, smart glasses, and portable computers, there could also be the option for “smart clothes”. In short, people may very well be able to wear their computer on their person and carry it with them wherever they go. 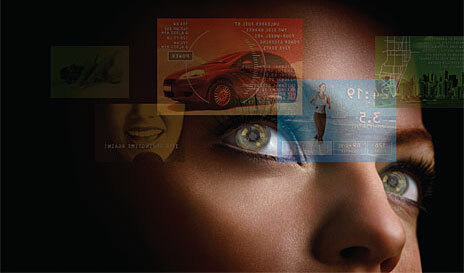 Smartphones, contacts or glasses could then be worn to sync up and act as displays. What an age we live in. It borders on the realms of amazing and scary. Sure does! Science fiction is becoming less and less like fiction every day. The acceleration towards a date with the unknown continues. I’M DRUNK! I wish I was, but I have a doctor’s appointment in the morning! Hehe, just kidding. I do think I sound drunk when I start talking like that though. Good luck with the doc. Just the usual maintenance, I hope. Yeah, something like that. Though if they offer I’ll get my flu shot in time for winter. Yep yep. The cutting edge research seems to be all about rethinking how circuits are made, from 3-D setups, liquid cooling, and fabric to even more outlandish and advanced concepts. Its a fun time to be alive, isn’t it?